The ninth running of the 53mile HOKA Highland Fling trail race took place on Saturday and incorporated the scottishathletics ultra trail championships. The race is held over the 53-mile stretch of Scotland’s iconic long distance trail The Highland Way from Milngavie a northern Suburb of Glasgow to the beautiful village of Tyndrum in Highland Stirlingshire. Now established as one of the leading ultra trail races in the UK, the race attracts runners from all the four home countries as well as from Europe. The overall race winner was Sondre Amdahl from Romerike UltralupperKlub in Norway in a time of 7.29.15, who won comfortably from Justin Maxwell another visitor from East Coast AC in Northern Ireland in 7.46.36. Scottish champion for 2014 finishing in third place overall was Neil MacNicol of Beacon Runners in Fife in a time of 7.49.09. Silver medal in the Scottish championships went to Hugh McInnes Edinburgh AC who finished in 5th place overall in 7.56.53 with Cosmics Mike Raffan claiming the bronze in 8.10.38 (9th overall). MacNicol had made a breakthrough by winning the 37-mile Jedburgh ultra in the Autumn and by claiming his first Scottish title, continues to make progress. 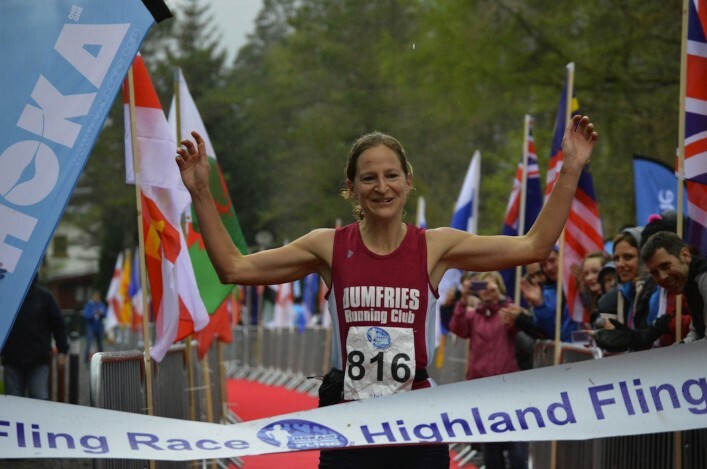 In the women’s race, there was a first Scottish ultra title success for Jo Zakrzewski of Dumfries RC. 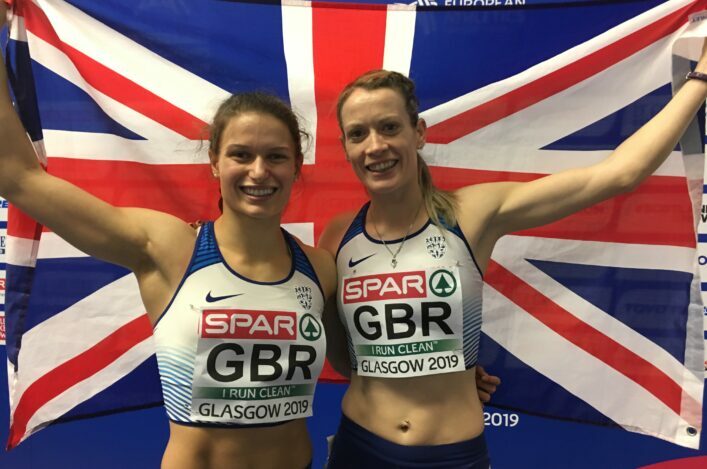 Although Scottish 100km record holder and a GB ultra international, she had never before medalled at a SAL ultra championship. The early leader was Sally Fawcett from Sheffield of Dark Peak Fell Runners, but Zakrzewski took the lead just after the first checkpoint at Drymen and ran steadily throughout to finish in 12th place overall in 8 hours 30 min38 sec, the 3rd fastest women’s time on the Fling course. Fawcett never totally lost touch and finished second lady in 8.38.48. Making a big breakthrough to take 3rd and silver in the Sal championships was Elaine Ormand (Dundee RR) in 8.49.37 with Helen Lees (Giffnock North) taking the SAL bronze medal in 9.38.41. Another superb ‘Highland Fling’, with thanks to race co-ordinator John Duncan and his team of over a 100 volunteers. As always, this event could not happen without the help of these volunteers. Veteran medallists were: Men: 1 Neil MacNicol (Beacon Runners) 2 David Gardiner (Kirkintilloch) 3 James Crozier (Lomond Hill Runners). Women: 1 Helen Lees (Giffnock North) 2 Lorna Broadhurst (Harmeny) 3 Noanie Heffrron (Kilbarchan).